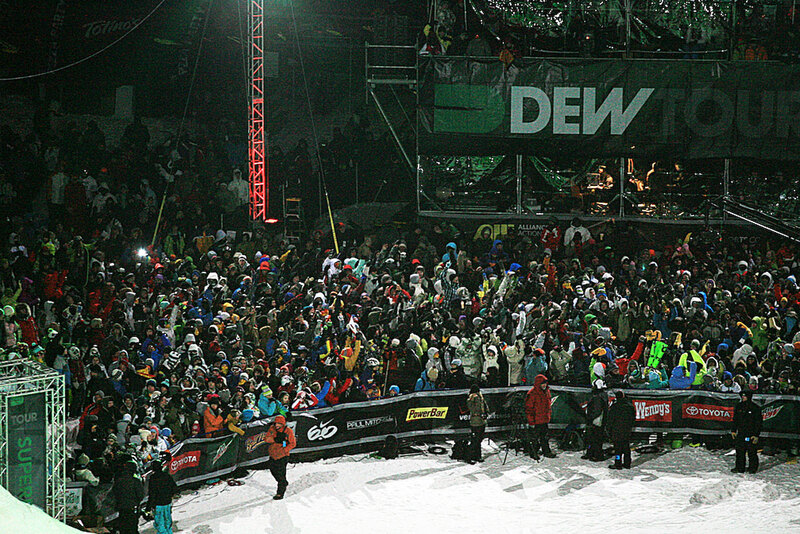 By: Kelli Redes – As the light show began and pumped up the massive crowd, the women's superpipe final contestants, or should we say, rockstars were all introduced. 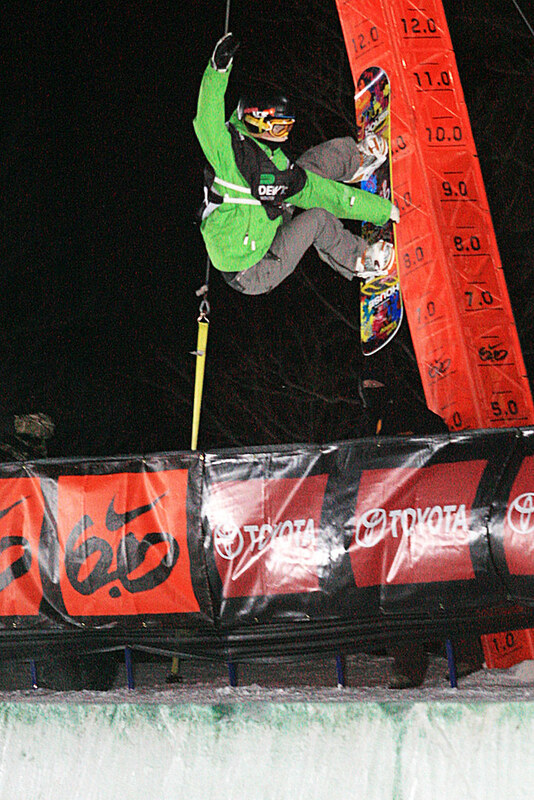 The six final women included hot young guns Kaitlyn Farrington, Maddy Schaffrick, and Kelly Marren, as well as the talented Jamie Anderson, Šárka Pančochová and Kjersti Buass. At the top of the pipe, the girls were all smiles, and the attitudes were surprisingly light and refreshing. The sportsmanship and cheer of the girls however, seemed to be just the right mood to get the girls started off right. 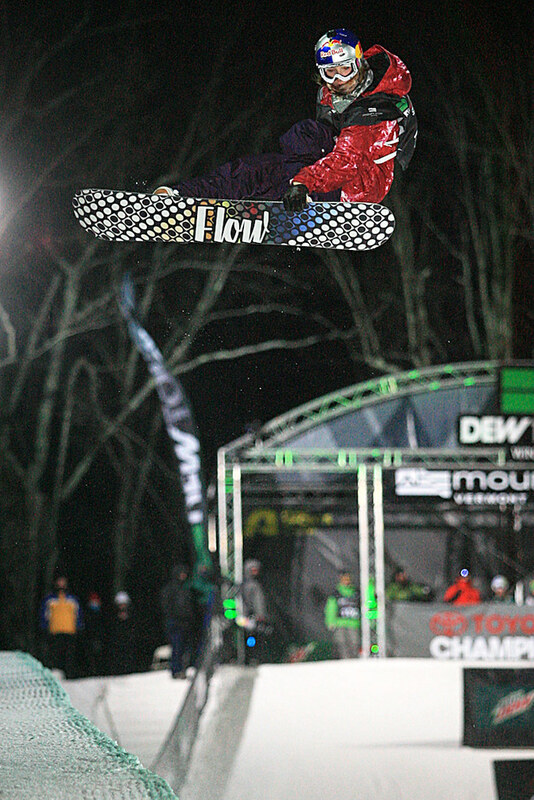 With Kelly and Kaitlyn both in close contention for the Dew Cup, the freshly cut pipe was the perfect scene for a night of technical tricks and awesome progression. Check the full list of results here! The first to drop was 15 year-old Maddy Schaffrick. 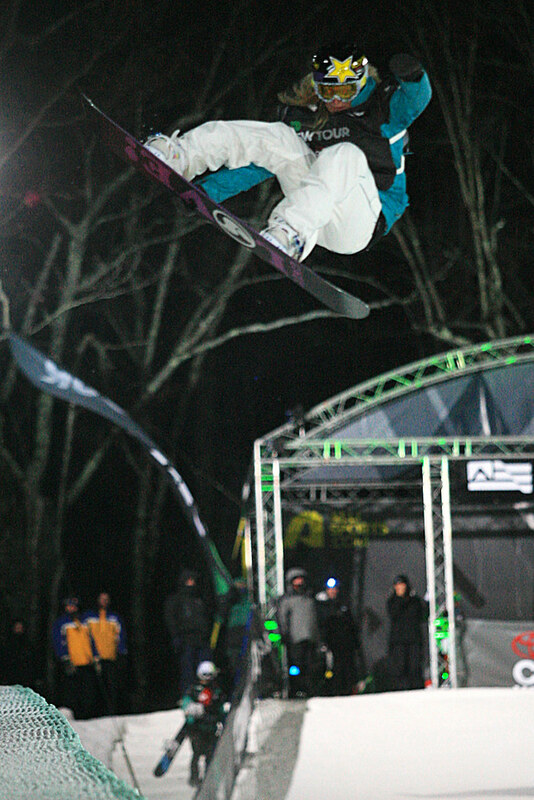 She threw down a super technical run including major amplitude, and really clean 5's. She did well enough to land her a score of 85.00 which would prove to be a solid position on the leader board. Jamie, Kjersti and Sarka all landed some nice runs, with major air, clean 5's, a few 7's and even a hand-plant. None of the runs were without their fair share of surprises including a major 900 by Kelly Marren, a penguin slide down the middle of pipe by Kjersti, and a mid run dance party. When Kaitlyn stepped up to the pipe, her first run gave her a good enough score to land her in second place, but her second run is where she really threw down. Kaitlyn landed a clean inverted 7, the only girl throwing that trick, as well a massive 540 and stylish hits throughout the pipe. Her second run awarded her with a outstanding score of a 90.75 which was enough to clinch the win in the finals and the title of Winter Dew Cup Champion. Kaitlyn Farrington's win was rightly deserved. She commented "it was so fun to ride the pipe with the girls tonight. Everyone is just so supportive and the mood was just awesome. 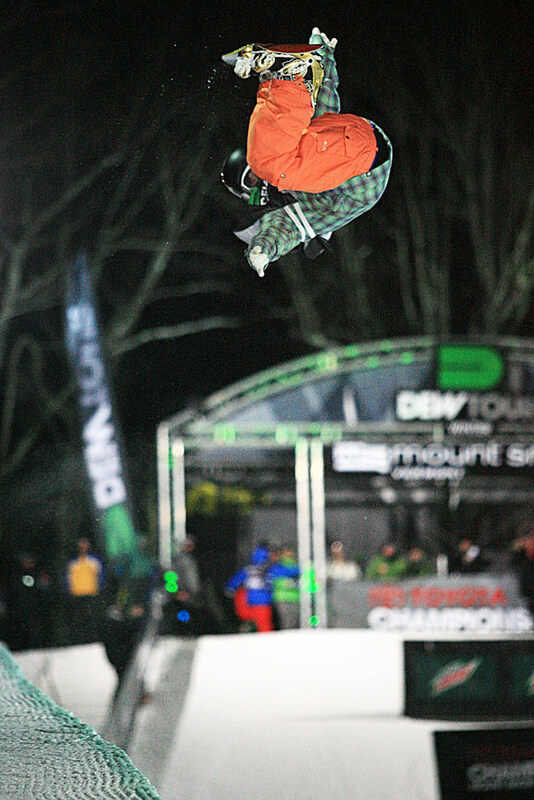 I am so excited to have won tonight, and taken the Dew Cup, its crazy!" 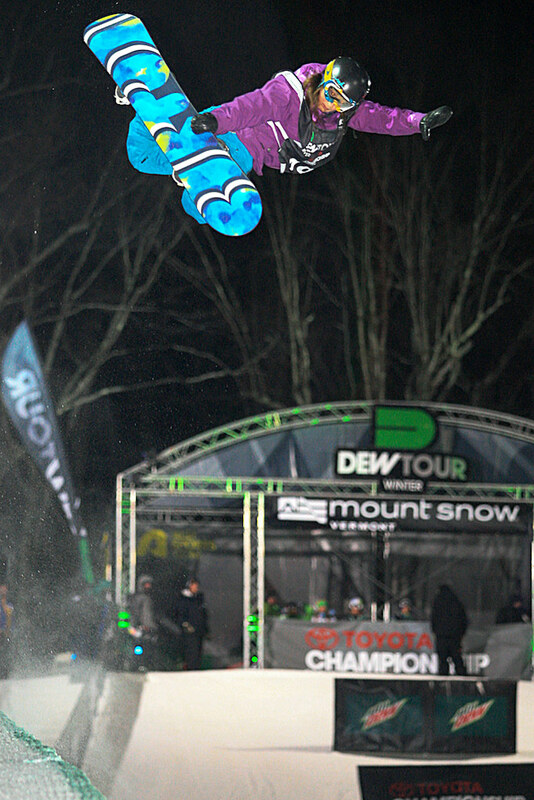 So with yet another rookie taking a Dew Tour Cup title, it seems the name of the game tonight was positivity, and all the girls definitely put on a great show for the crowd full of funny antics and incredible talent.